At the suggestion of a colleague, I added spaces between lines to accommodate those "dip below the water lines" letters. 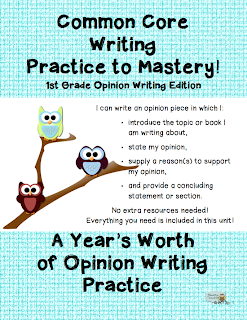 I also edited the Opinion Writing packet to include this for 1st grade also. 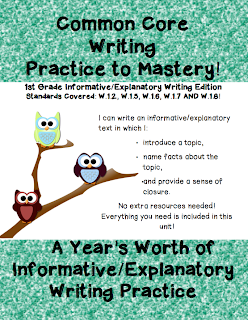 The steps in these units make teaching the Common Core types of writing EASY! Give them a try! Download today at my TpT Store, my Teacher's Notebook Site or CLICK HERE to see how you can get a unit of your choice for FREE! Here you go, first grade teachers! 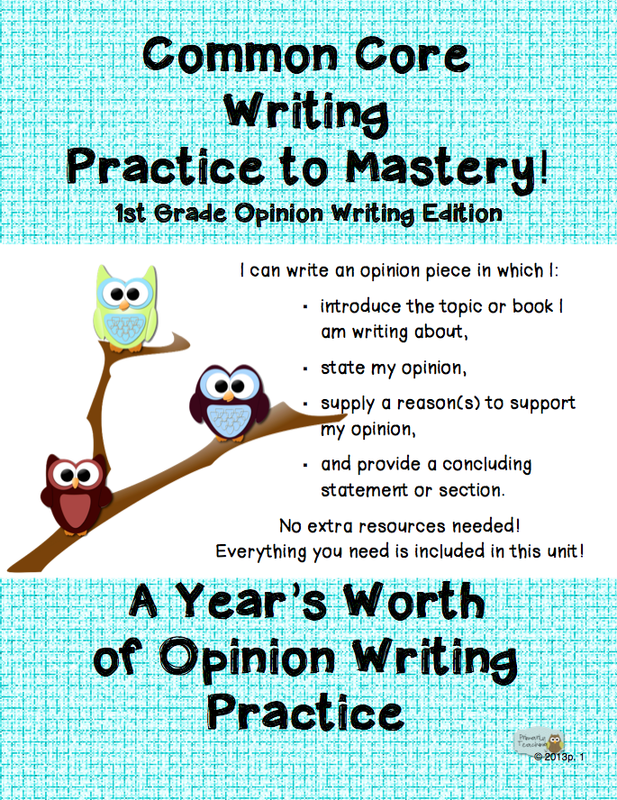 A way to make opinion writing as easy as pie! Download this handy-dandy unit at my TpT Store, my Teacher's Notebook Site or CLICK HERE to find out how to get it for FREE! 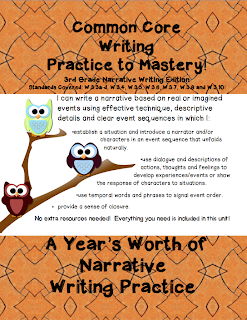 I'm very proud of this new unit covering 3rd grade Narrative Writing! From grade level to grade level, the difficulty level in Common Core writing increases significantly, but with my guides, the students think it's fun and easy! They end up PROUD of their writing--you've got to give this method a try! Grab it at my TpT Store, my Teacher's Notebook Site OR click here to see how to get it for FREE! Grab it at my TpT Store, my Teacher's Notebook Site or click here to see how to get it for FREE! Tell your 3rd grade teacher colleagues! 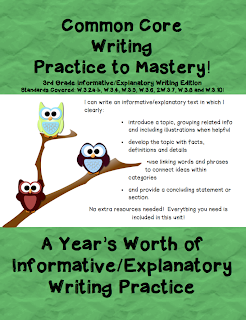 Tell all of your 3rd grade teacher friends--Writing Practice to Mastery! 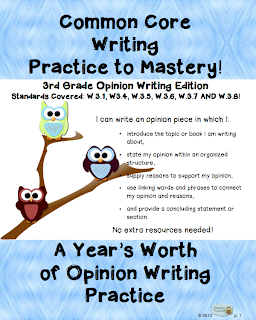 3rd Grade Opinion Writing Edition is now available! Kids LOVE this step-by-step method of producing writing they can be proud of! Download it today from my TpT Store, my Teacher's Notebook Site or click here to see how to get it for FREE! 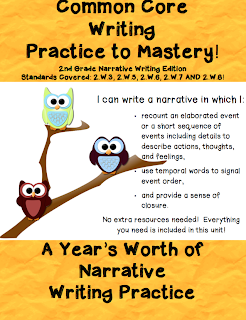 I hope your kids create some memorable narratives with this easy printable guide! Downloadable at my TpT Store, my Teacher's Notebook Site or click here to see how to get it for FREE! 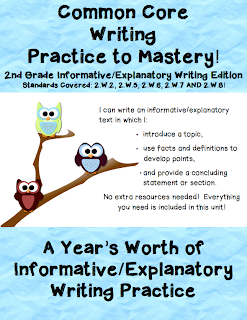 My next installment of 2nd grade Common Core Writing Practice to Mastery! is birthed. I'm one proud mamma! or click here to see how to get it for FREE!